iKuu is the range proposed by Eleaf, very well known in the world of Electronic Cigarette. iKuu is one of the best available for actual vaping. Simple, ergonomic, with autonomy which is very interesting for a longer vape. The iKuu Box is disposes of all the latest innovations in material of the Electronic Cigarette, therefore the Temperature Control and the possibility of a rapid recharge of the integrated battery. Associated with the excellent Melo 4 Clearomiser, the iKuu i80 Kit together is performant and easy to use. The iKuu i80 and the Melo 4 Clearomiser is also compatible as a whole with the range of Melo Coils, with a very interesting style of vaping choices and the rendering of flavours. 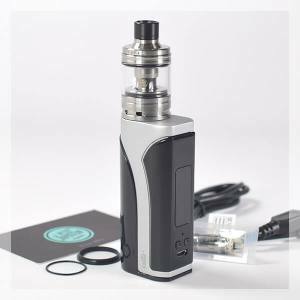 The Electronic Cigarette from the iKuu, is amongst the best range of Electronic Cigarettes of the moment gracious to the "how to know" manufacturer Eleaf. The iKuu disposes of ergonomics and is simple to use. Very compact, the iKuu Electronic Cigarette allows you to vape anywhere, in all occasions. 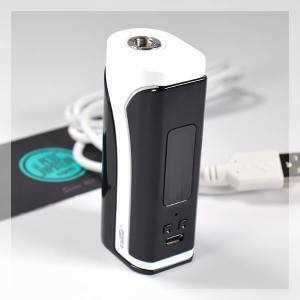 With technical simplicity which will please beginners of vape. And the choice of CE coils, compatible with the Melo 4 clearomisers which is convenient for vapers of all seasons. The iKuu Electronic Cigarette equally has a recharge via high quality USB for a reliable and rapid recharge.